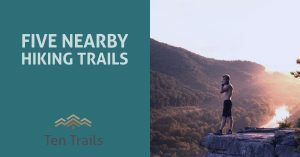 In addition to our miles of trails located within the community, Ten Trails is conveniently located just minutes from some of the area’s best hiking trails. You and your family will have endless opportunities to get outside and explore the great outdoors on nearby hikes when you are a resident of this new, master-planned community! 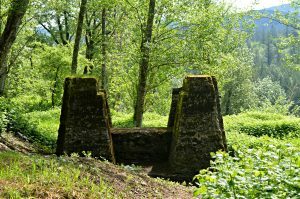 Located in nearby Issaquah, Poo Poo Point’s Chirico Trail boasts 3.8 miles roundtrip with an elevation gain of 1,760 feet. Short, but intense, the hike is worth the view at the top, which gives hikers a pretty impressive view of Mt. 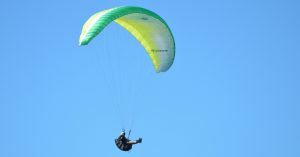 Rainier, as well as plenty of opportunity for watching hangliders take off on clear days. Just a short drive up Highway 18 from Ten Trails, Twin Falls is a perfect day hike for kids! The entire hike is just 2.6 miles roundtrip and offers views of the upper and lower falls. Most importantly, the trail is well-maintained and hiking is free with your Washington Discover Pass. At the end, cool off in a dip in the south fork of the Snoqualmie River. 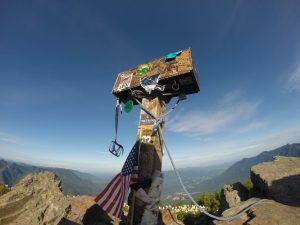 Mailbox Peak is definitely the most difficult hike on this list, therefore, save it for older kids. At 9.4 miles roundtrip and a 4,000-foot elevation gain, you will want to make sure to head out early to the trailhead, which is located in North Bend. Don’t forget to bring something to leave behind in the mailbox which is installed at the summit. Hikers are treated to views of Mt. Rainer and the Middle Fork Valley. Ten Trails is nestled in beautiful, historic Black Diamond and located just minutes from the town of Franklin. Once a booming coal-mining town, Franklin is now owned by King County and is part of the Green River Gorge Conservation Area. For a small parking fee, hikers can explore the ruins of old buildings and view coal car tracks and cables hidden among the forest. History buffs can also contact the Black Diamond Museum for a schedule of their upcoming historical tours of Franklin. Lastly, located in the Snoqualmie, North Bend area, Rattlesnake Ledge is an extremely popular local hike, so visit on weekdays if possible, or go early to avoid the crowds. At only four miles roundtrip, this hike is accessible for kids and provides sweeping view of Rattlesnake Lake.